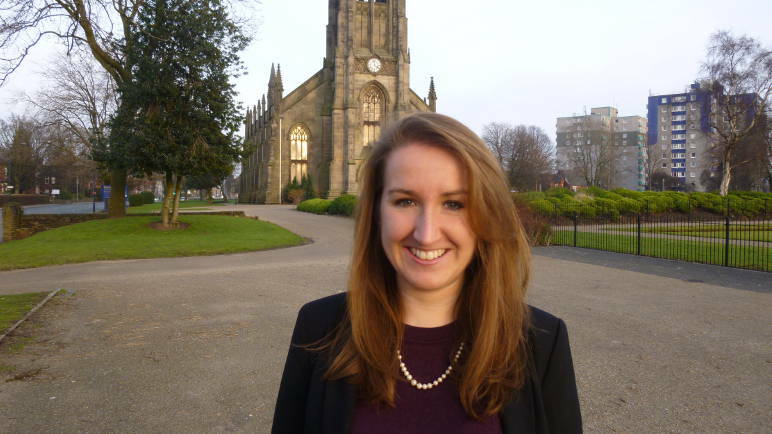 Originally from Cornwall but having lived and worked around Europe for the last five years, Carly fell in love with Greater Manchester while campaigning here and moved to the city to train as a solicitor. Carly joined the Liberal Democrats after seeing how hard her local Lib Dem MP worked to secure better services and a fairer deal for people across his rural constituency, where local talent can be wasted for lack of access to opportunity. Having attended her local comprehensive and been the first in her family to go to university, Carly is a passionate advocate of social mobility. She believes that only by investing seriously in education can we give every child—regardless of their background—the fair start in life they deserve. After graduating from Durham University Carly moved to Paris to work, and then to Brussels where alongside her job in the European Parliament she campaigned for better female representation in the European energy sector. Her campaigning zeal saw her become a key player driving a European Parliament campaign to reform the environmentally disastrous EU fishing policy. Her behind-the-scenes work alongside fishermen, environmentalists and celebrity chef Hugh Fearnley-Whittingstall led to a huge victory over big business interests that were destroying our ocean environment. Outside of politics Carly has played international cricket and enjoys cycling, running (when it’s nice weather) and hiking (in any weather!). Carly is not one for standing passively by and is fighting to become one more female voice in a still male-dominated Westminster. She believes that we need to do more to help women aim high and achieve their ambitions—whatever they might be. Published and printed by Dr Shaun Offerman PhD on behalf of Carly Hicks and Tameside Liberal Democrats all at 23 Shire Croft, Mossley, OL5 0AR.